Want to see all the technologies used by adorama.com? 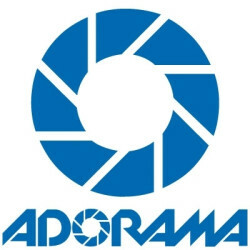 Adorama is the world’s only full-service destination for photo and electronics. They’re more than a camera store – they offer the best selection and prices on consumer electronics such as home theaters, mobile computing, home office equipment and more. Serving customers for more than 30 years, Adorama has grown from its flagship NYC store to include the leading online destination for photography, imaging and consumer electronics. Adorama's vast product offerings encompass home entertainment, mobile computing, and professional video and audio, while its services include an in-house photo lab, AdoramaPix, pro equipment rental at Adorama Rental Company and the award-winning Adorama Learning Center, which offers free education for photographers in video channels such as the popular AdoramaTV. Adorama is listed as one of the top five electronics retailers by Consumer Reports, “Best of the Web” by Forbes.com, Internet Retailers Top 100, and is the official Electronics Retailer of the NY Giants. Over the past 30 years, their customers have come to know us as the best photography retailer in the world. As the imaging industry evolves, so do they – that's why Adorama carries everything from top camera brands and mobile computing to custom scrapbooks and hard drives. They have any device you can imagine to help you capture and enjoy life's most precious moments. But Adorama is more than a camera store - they pride theirselves on being the world’s only full-service destination for all of your photo and electronics needs. Whether you want to print a wedding album, sell an old piece of equipment or rent a camera for a weekend getaway, Adorama can help. They even have entire departments set up just to train, inspire and teach. For a quick look at additional technographic info on adorama.com or any domain on the web, download our Chrome Extension. Check out our help article to see how Datanyze Insider can help you.